Crossbreeds are the perfect fusion of surprise and individuality. You get to have a dog whose appearance and traits can’t be predicted or replicated. Canine enthusiasts have gone to extraordinary lengths to tempt fate with the mix of favorite purebreds. One of the most popular breeds- the German Shepherd– has been a choice parent for a multitude of crossbreeds. It’s no wonder why, as it’s a breed that possesses beauty, brains, and power. 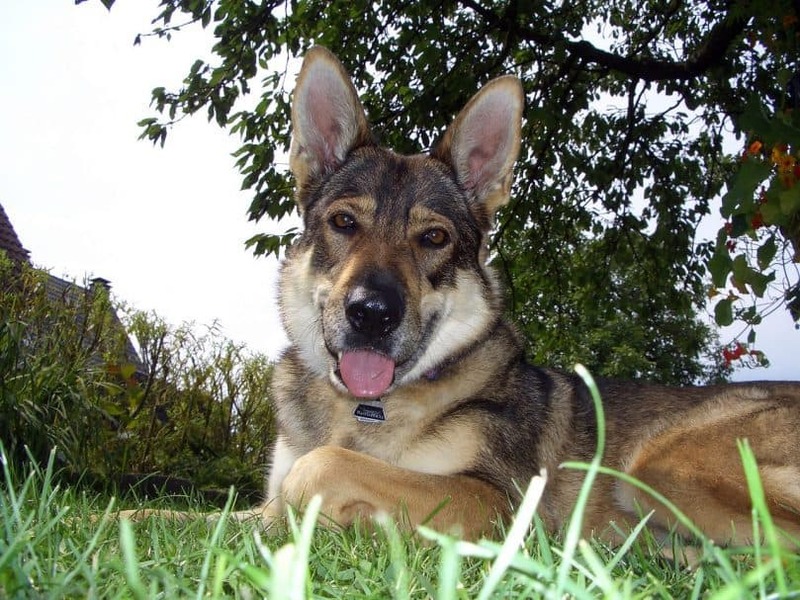 In this post, we’ll share our top 8 German Shepherd mix favorites. What’s So Special About The German Shepherd? 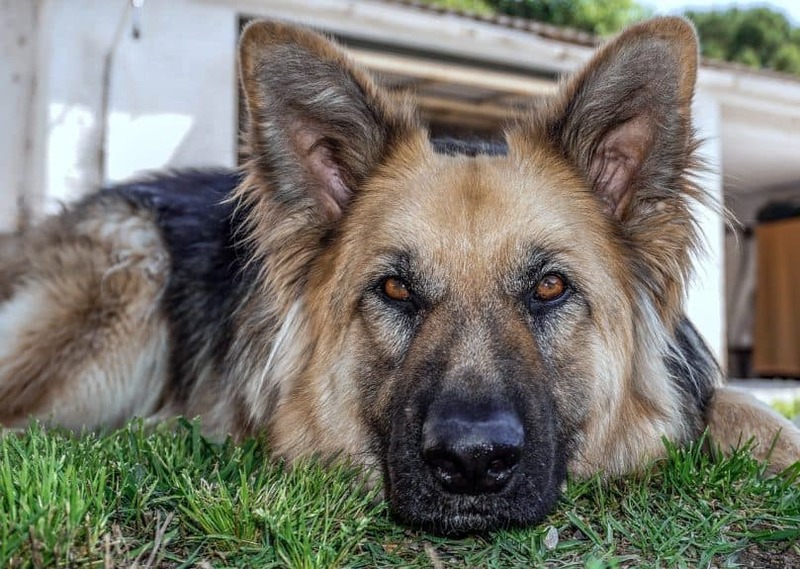 Those watchful eyes, attentive nature, a yearning to protect the family it loves…the German Shepherd is a stunning specimen that ranks as the second most popular dog breed in the world. It was the first breed to be used as a guide dog for the blind, is the breed of choice for police work and is loved by families for its protective and loyal nature that makes it seem more of a sibling than a pet. Did you know the German Shepherd is also incredibly intelligent? It ranks as the third smartest breed behind the Border Collie and Poodle. It can weigh up to 88 lbs (40 kg) with a height of 25 inches (65 cm) and has a lifespan of up to 13 years. Honestly, I could go on and on. This dog offers some fantastic genes for any mix. Of course, there are factors to consider such as the heavy shedding of fur and health woes, such as hip dysplasia. But, if you’re looking for intelligence, protectiveness, and beauty, this is what makes this breed so well loved. Let’s jump right into our favorite GS mixes, and you can decide which one is the best for you! The Golden Shepherd features another popular purebred- the benevolent Golden Retriever. This is also an intelligent breed with hunting roots. It has a penchant for swimming and retrieving (hence the name). This is a favorite family dog because it has a heart of gold. Add the protectiveness and loyalty of the German Shepherd and it makes for a magnificent mix. Both breeds have heavy coats of fur and shed more than average. So, if you suffer from allergies, this is something to consider when seeking out breeders. The Golden Shepherd can grow up to 20 to 26 inches (50-66 cm) tall and can weigh between 60 to 85 pounds (27 – 39 kg). The Pug is a gentle and sociable breed, well known for its flat, wrinkled face and short legs that many would call adorable. 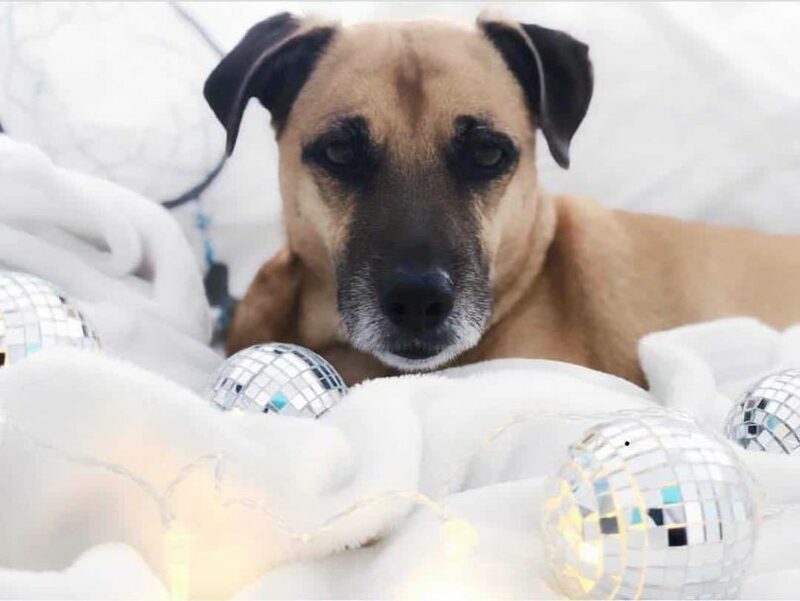 It’s a small-sized dog, highly sociable and loves to be around humans. Pugs are also known to be big snoozers, napping frequently. For health issues, Pugs can have difficulties with breathing and regulating body temperature due to the unique shape of their face, which constricts airflow. Mixed with a GS, it’s interesting to see what you’ll get in terms of appearance, especially considering the differences in size. Temperament-wise, this mix is known to be friendly and devoted to family. The Shug can grow from 8 to 12 inches (20-30 cm) tall and weigh up to 14 lbs (6 kg). Also known as a Chow Chow, this GS mix is as fluffy and pointy-eared as they come, resembling a butterscotch-colored koala more than a dog. It can grow from 18 to 26 inches (45 to 66 cm) tall and weigh from 40 to 95 lbs (18 to 40 kg). The Chow is an ancient hunting breed that is known for an independence and aloofness that give it a feline persona. Mixed with a Shepherd, the hybrid is known to be quite playful, often yearning for human attention. This is another crossbreed that tends to shed a lot, a trait pulled from both parents. So, if dander puts your sinuses in a tizzy, this might not be the mix for you. This hybrid takes strong genes from parents that are both physically and mentally impressive. Temperament-wise, both can become aggressive, and this applies to the German Shepherd Pitbull mix as well. Early socialization and behavior training is a must. The Sheppit is a large canine, weighing between 65-85 lbs (29 – 38 kgs). Therefore, these dogs need an ample amount of exercise, at least one hour a day, to stay fit and mentally stimulated. She has the potential to be a grand family dog if trained correctly. You want to watch out for strong leadership qualities that can turn to aggression if not checked. That’s why we recommend this hybrid for experienced dog owners. 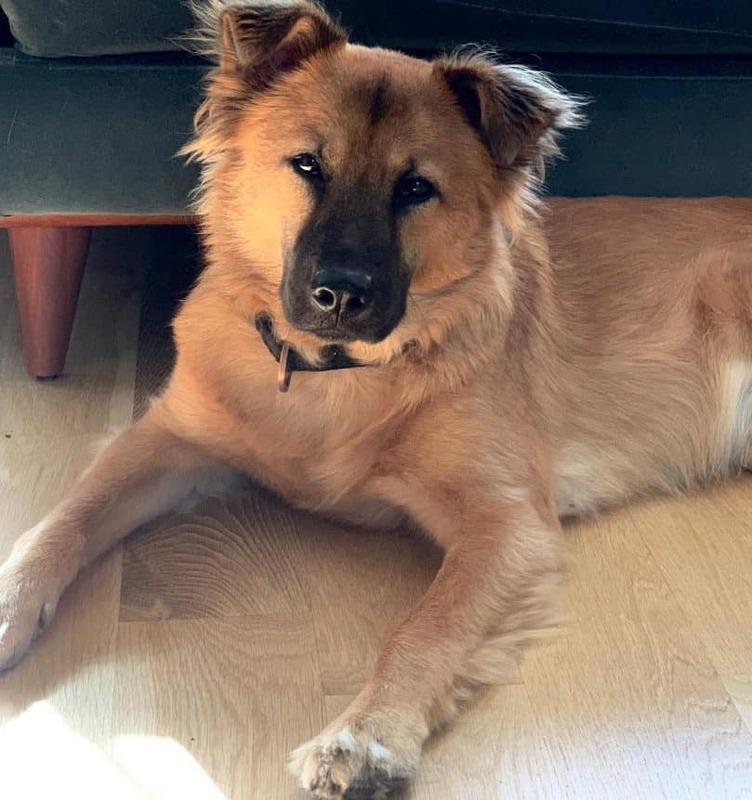 You might hear this mix called a Shepherd/Poodle or Shepherd/Collie, but commonly these two mixes are grouped into what has become dubbed the Miniature German Shepherd. This is a hybrid for those looking for a miniature version of the traditional GSD. But, be aware that with hybrids, you never know what you’ll get when it comes to appearance or temperament. Still, this is a wonderful mix, with parents that are highly intelligent and gentle around kids. They make excellent family pets! Those with allergies rejoice! The Poodle’s wiry coat is touted as “hypoallergenic” and low shedding. This gives the mini Shepherd a chance to reap some of the genetic benefits. You’ll want to make this a priority question when shopping around breeders because it’s not always inherited. As you can imagine, this mix is beautiful to gaze upon. Indeed, your wolfdog will turn heads around the neighborhood. But, are you ready for the immense responsibility that comes along with owning a dog that is half wild animal? Wolves have a strong predatory instinct. They are roamers, who are ardent about protecting territory. This can make them unpredictable around children and other pets. It can also lead to them marking territory by urinating more often than other canines. Socialization and training are highly recommended for this crossbreed. As well, this isn’t the best fit for a first-time dog owner. It’s a beautiful beast, but one that requires time, dedication and a confident owner. A popular Shepherd mix, the Gerberian Shepsky makes for a handsome pup with a wonderful personality to boot. They are large dogs, measuring 20-35 inches tall and weighing between 45 – 90 lbs. They tend to have a wolf-like appearance with pointed ears, long snout, and a colorful coat. Both parent breeds are intelligent, so you can expect the hybrid to be attentive and hard working. After all, Huskies are known for their leadership skills and strength pulling loads out in the Arctic while the Shepherd is used in the police force and military. This mix is pleasant around children and makes for a devoted family pet. It is high energy, so expect to get in a daily walk or some play time. If you live in a hot region, beware that this dog harbors a thick coat. It is better suited for life in cooler climates. 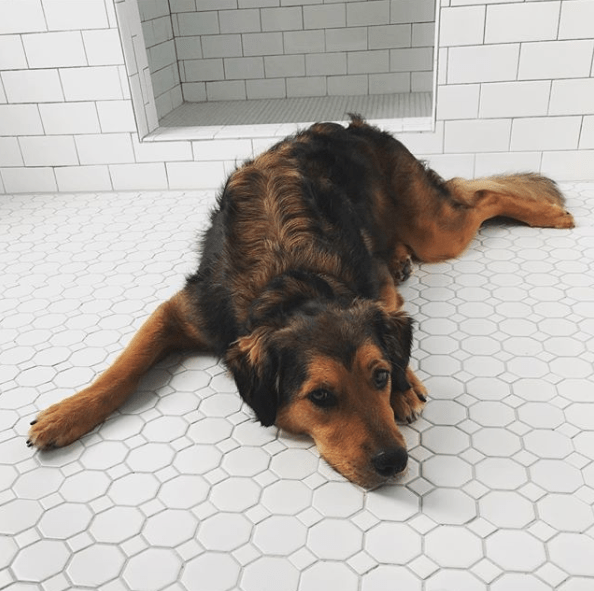 Shedding can also be a concern for those with allergies. Here’s a cutie that’s hard to resist! The Corman Shepherd is quickly becoming a popular designer breed due to its smaller, charming looks and spirited personality. Taking loyalty cues from the GSD parent, you can expect a dog that wants your attention and will do anything for the family it loves. From the Corgi side, you can expect a spunky pup with a stubborn streak. Therefore, you’ll never be bored with the entertaining personality of a Corman Shepherd! This dog commonly inherits the stumpy legs of the Corgi and can grow anywhere between 12 and 15 inches (30 and 38 cm) tall, weighing 20 to 70 pounds (9 to 23 kg). Take care with the everyday health of this mix. It loves to eat and can be greedy. It’s also high energy. Monitor food portions and be sure to give daily exercise to keep obesity and bloating in check. Shopping for a crossbreed isn’t a simple walk in the park. When researching hybrid breeders, always keep these vital tips in mind. If a breeder guarantees their hybrids will look or act a certain way, this is a red flag. No one can predict how a litter of puppies will grow to look or act like. Always look into the medical history of both parents. Ask the breeder for health clearances to distinguish any health issues and to ensure they have been seen by a vet. Visit the breeder to witness the conditions where the puppies were born and raised. If a breeder refuses a visit, take this as a red flag. If you are interested in finding a mix, check out these GSD rescue centers. 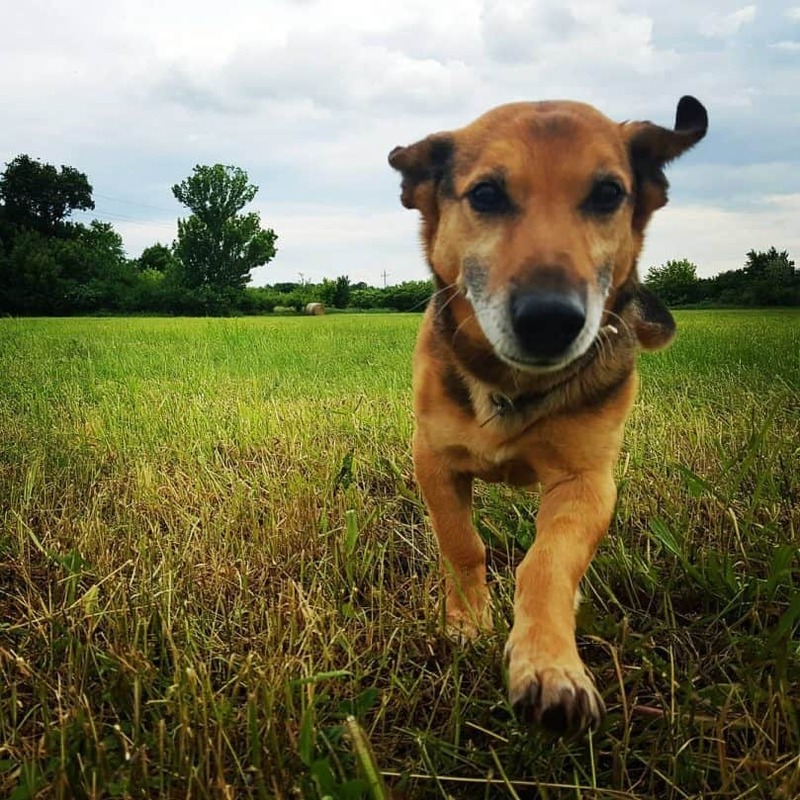 These beautiful mixes take the very best of the beautiful and intelligent German Shepherd to produce quality crossbreeds that are protective, loyal and loving. 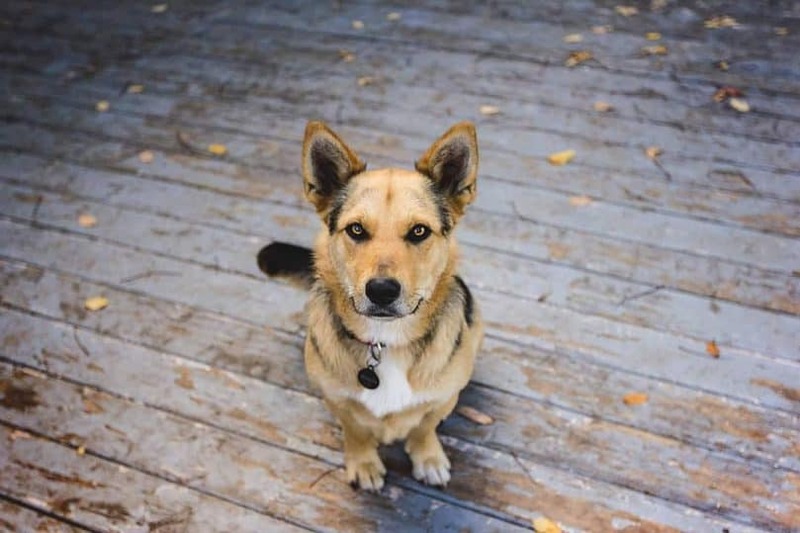 We might have covered only 8 German Shepherd mixes in this post, but there are actually many more out there. 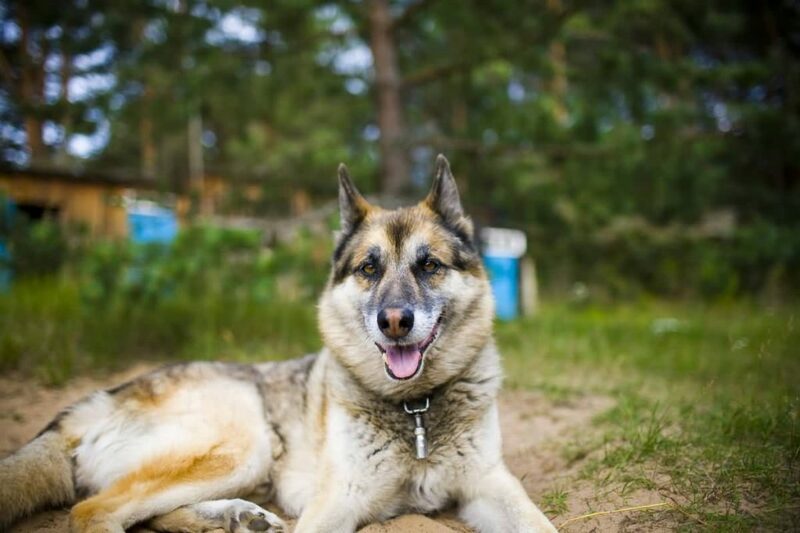 Which German Shepherd mixed breed is your favorite? Tell us in the comments!